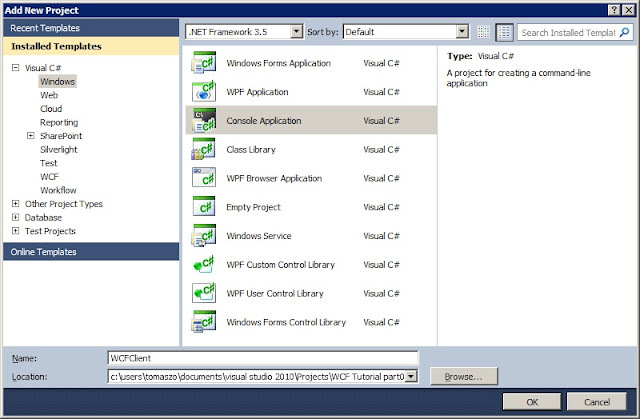 In this tutorial I would like to tell you a bit about WCF. 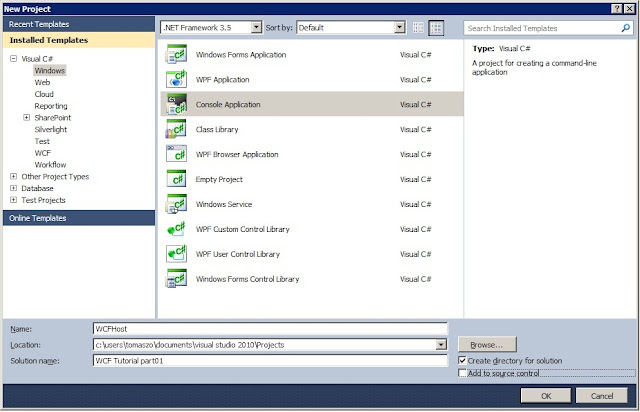 WCF stands for Windows Communication Foundation and it's a part of .NET since 3.0 version. 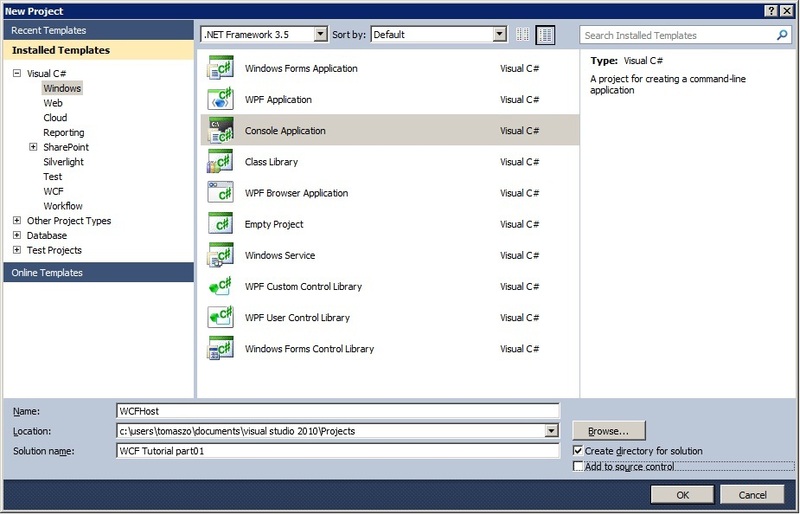 It allows us to both create and consume services. C - Contract - specifies which operations are available for the endpoint. 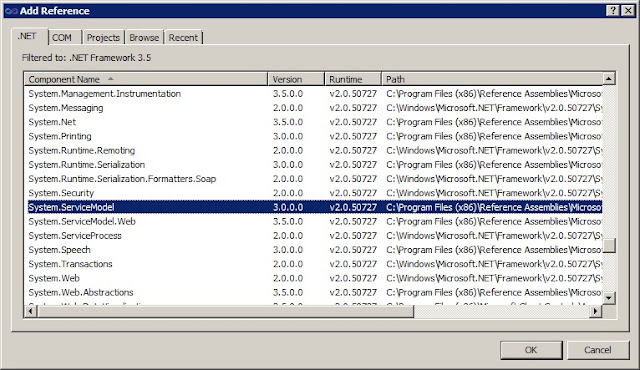 In this tutorial we will communicate through HTTP and service will be self-hosted (standalone .exe file). We will use WSHttpBinding for endpoint. 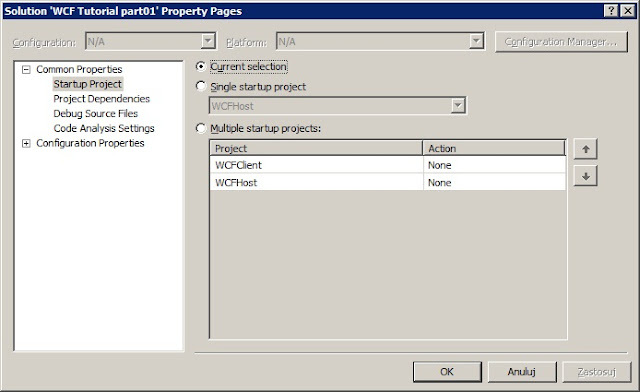 Right click on the solution and choose "Set Startup Projects...", in the new windows choose "Current selection"
Now rightclick on your client project and choose "Add Service Reference", inside the window as an address type an address of our endpoint ("http://localhost:8000/service") and cllick Go. Our service should be discovered. 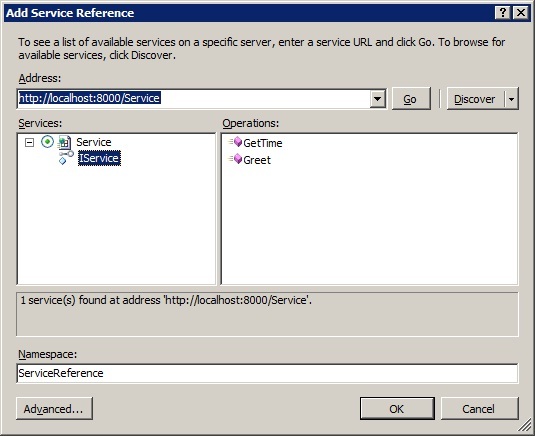 Set Namespace to "ServiceReference" (as shown on the picture above) and click OK.
App.config file will be generated, reference to “System.ServiceModel” also will be added automatically.